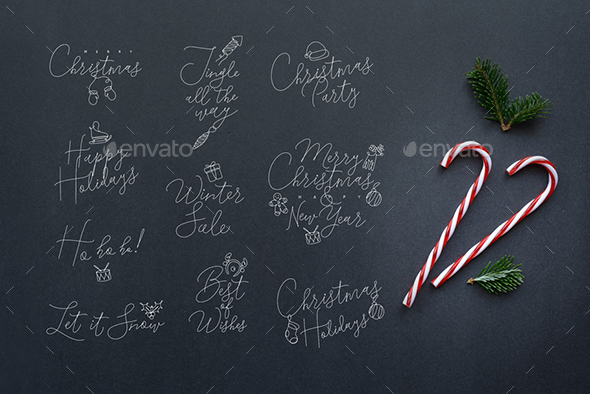 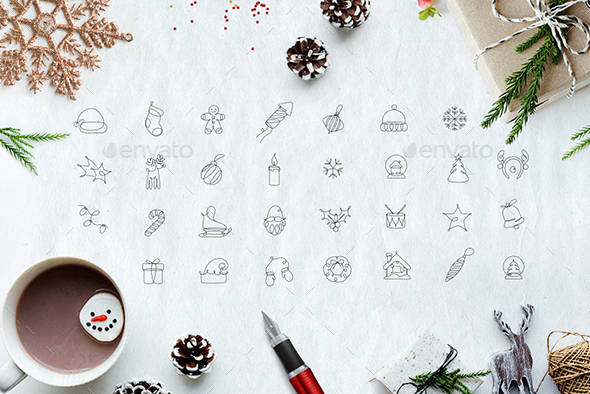 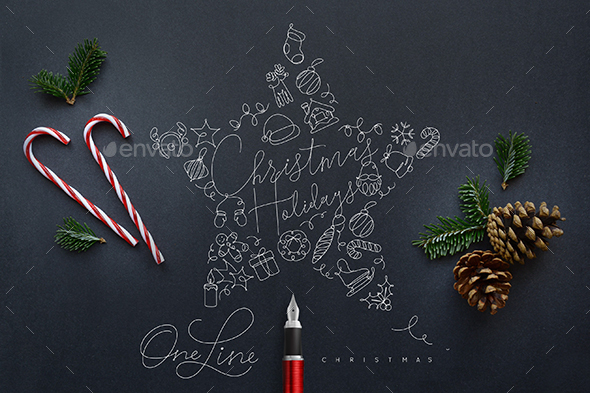 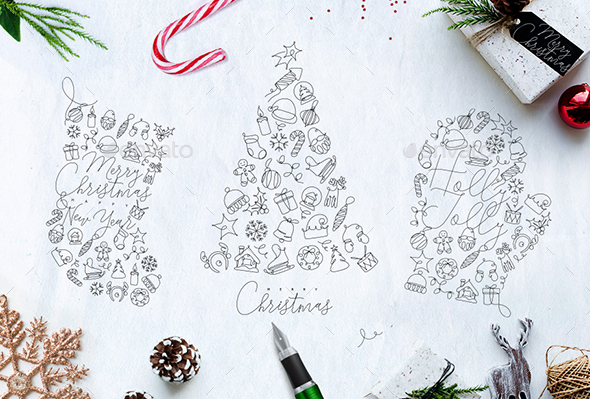 Set of pen line posters, design elements, monograms and icons on Christmas theme. 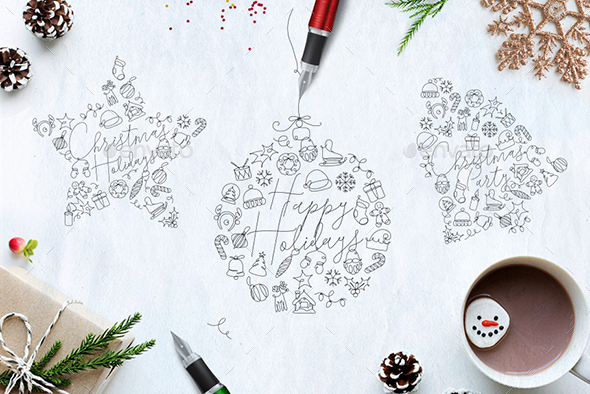 Text is outlined and not editable by writing letters on the keyboard. 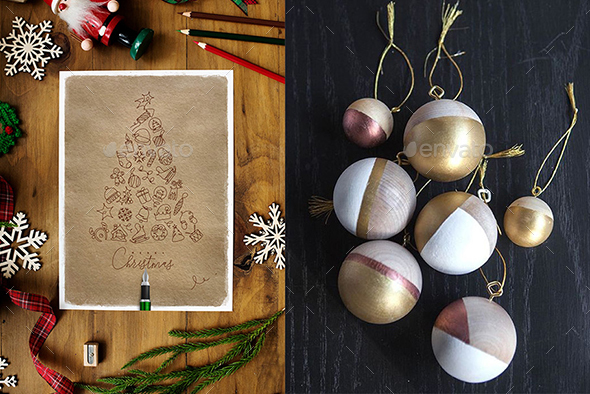 All layers are well organised. 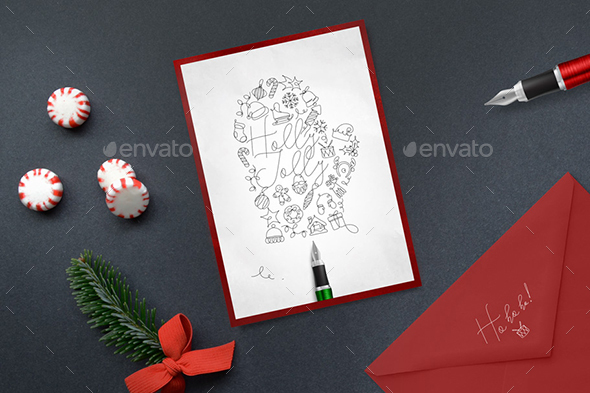 Please rate after buying my work, advance thanks.